19th Century Scotland was a hard place for a family man to make a living. Alexander Davidson, or Sandy as he was known, was a tenant craftsman working out of the local blacksmith’s at Netherton hamlet in the Angus parish of Aberlemno. The work was a continuous round of making and repairing cartwheels, fashioning wooden shafts for implements and repairing agricultural carts. He and his wife Margaret lived with their six children in a tied cottage next to the blacksmith’s; accommodation they also shared with two other workers. They lived on the estate of Lord Minto who owned the land and largely governed the lives of the people who lived and worked there. At Netherton cottage, four adults and five children shared a tiny two-bedroomed cottage almost certainly at the discretion of the estate. If the cottage had any bucolic charm then it would have been quickly erased by the hardship of daily life. The working day routinely began at dawn and didn’t finish until after the sun went down in the evenings. Sandy’s work for the laird is highly likely to have included any additional tasks for which his skills could be deemed useful. These may well have included repairs and renovation work that involved his carpentry skills, for there is evidence that Sandy made furniture after he arrived in the New World. Margaret also would have been busy from dawn to dusk. Her daily life included setting the stove, fetching water, cooking, baking bread and caring for her children. There would also have been livestock to maintain and a kitchen garden planted out with vegetables to tend. Living on the estate did offer a degree of security in the form of steady and relatively assured employment. Certainly, a supply of coal from the blacksmith’s was available in order to keep the home fires burning. Water came from a nearby well and a very rudimentary outhouse served as a toilet. The midden, or dump, had been sited in the southwest corner of the garden and no doubt generated a ready supply of good quality compost to add to the already fertile soil. The self-sufficiency they enjoyed may not be recognizable as The Good Life, but they did not suffer extreme want. Why then, when Sandy was already fifty-two years old, did emigration to a land they barely knew, and a wholly uncertain future suddenly seem so much more attractive? One possibility is that they had no life of their own and few tangible alternatives for their children. The laird, his factor and his land agent may have been quite benign towards those working upon his property, but estate life meant deference to their decisions and few rights as sitting tenants. Certainly, intolerable overcrowding of families into inadequate accommodation in both town and countryside was a nineteenth century malaise that persisted in Scotland well into the 1900’s. 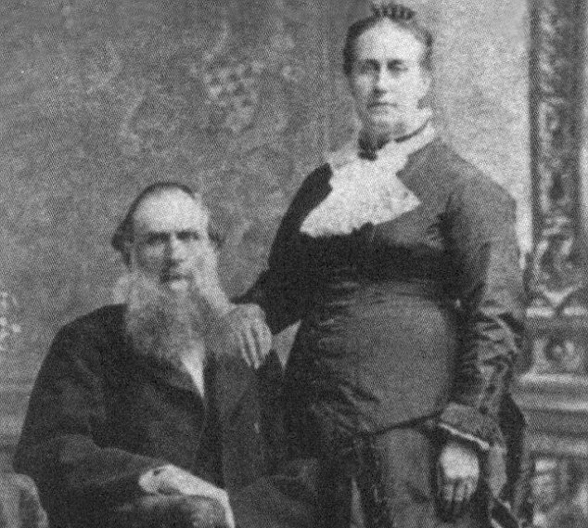 Some members of Margaret Davidson’s family, including her mother, had already made the journey across the Atlantic and were quite settled in Wisconsin. There is some evidence from communications between them that America offered the possibility of a different kind of life, an alternative future for their children, and the chance to prosper. The family story of the Davidsons and the remarkable destiny that lay in wait for them is one that arcs across the miles and down through the generations. It is the chronicle of a bloodline through three American-born Davidson grandsons who founded a great enterprise with Englishman William Harley. Let’s not get ahead of ourselves though. First and foremost, there is much still to understand about the hardship of the migrants’ tale and small beginnings in backyards and machine shops in Wisconsin.